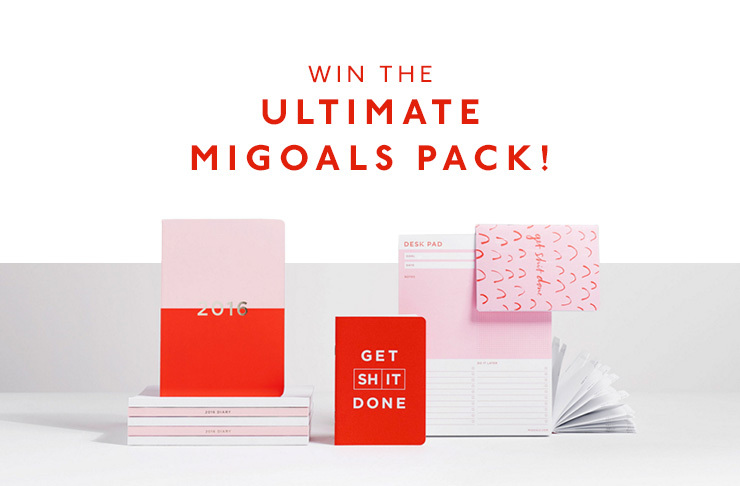 Win The Ultimate Mi Goals Pack! Need to organise your life? Do you have some pretty lofty goals for 2016? Does a snazzy notepad make your random scribbles seem that much more 'real'? We've teamed up with Melbourne-based, life-optimising stationary crew Mi Goals to help you on your way to a happier, more organised you. To get your hands on one of two epic Mi Goals starter packs, simply enter your details below to go in the draw! While you're at it, download one of our custom-designed Mi Goals X Urban List designs to dazzle your desktop!